Scents natural ability in creating ambiance and mood is often underestimated. We’ve all been there. That moment when without warning, a scent hits your nose and you’re transported back to another time and place. A sudden change of feelings ensues, not dissimilar to deja vu, that sudden feeling of having been somewhere before. Our memories transport us back before we consciously understand why, it’s intuitive and can be comforting or destabilising for our emotional wellbeing. Scents are processed in the olfactory cortex of the limbic system, which is an area of the brain closely located to where our emotions and memories are stored. Individual aromas are made-up of molecules which the nose senses through vibrations, sending a signal to the most emotional aspect of our brains. This biological process subsequently affects our experiences, whether that be at home or in the outside world. Once we understand this natural human behaviour it makes obvious sense why we feel the way we do when we encounter aromas; it’s not something we can avoid, it’s built into our individual foundations. 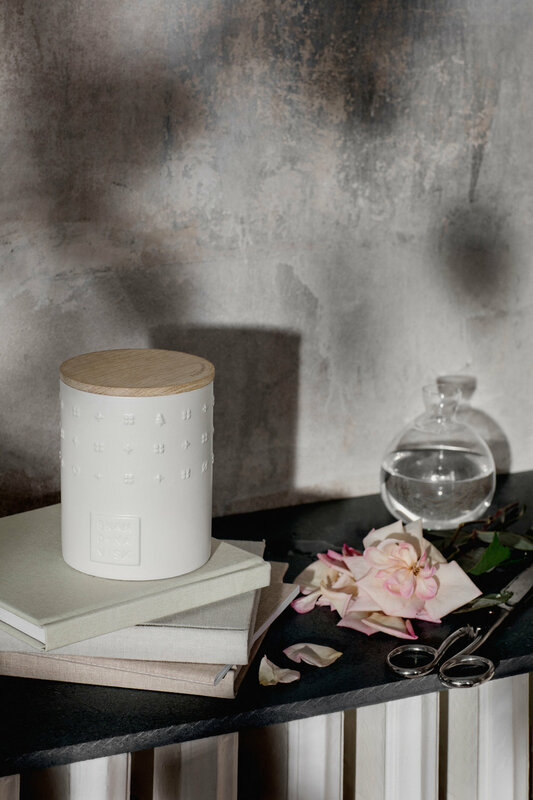 Whilst scent is one of our most influential emotions is also the easiest to harness, how we encounter a space and our emotional connection to it can be consciously manufactured to improve our well being. By using a strategic approach to incorporating scents within a space we have the power to determine the ambience or mood - whether that be to stimulate, comfort or calm, with the added advantage of not needing to invest heavily. A practice you have most likely already heard of, aromatherapy, is known for its holistic approach and utilises scent to improve both psychological and physical health. Listed below are scents commonly used within the practice, all of which can be harnessed for the needs of an individual space. Cinnamon is an emotional stimulant, known to reduce stress and encourage a focused mind. Eucalyptus eliminates negativity, purifying spaces to create a fresh atmosphere. Cedarwood balances our psychological emotions but is considered an equally powerful physical health stimulant. Sandalwood creates a calm and inspiring atmosphere and so is a powerful antidepressant. Patchouli can often be found in its purest natural form, producing an uplifting, regenerative feeling. Rose is a powerful scent, creating balance for a stress free environment. Lavender creates a serene atmosphere which calms and relaxes. Scented candles are an ideal way to add natural serenity to a space, with aromas that gradually build. Using candle light in the evening when winding down is also another natural way to control our mood, a way of avoiding bright LED lights which confuse our body clocks and keep us alert. The intensity of a fragrance also determines how quickly we notice or recall memories from it and so it’s important to also consider the level of scent we apply within a space. Burning candles within modern air-tight spaces does incur unfortunate side-effects on the quality of air we’re breathing in. You may be surprised to learn that candles, air fresheners, plug-ins and scented bleach wipes all emit the chemicals used to create their fragrance, which when released into the air lower the quality of air we’re breathing in. Introducing humble house-plants is in instant remedy to this, just like nature outdoors, indoor botanicals have the power to clean the air around us; removing any chemicals released. Scent is fundamental to the success of an interior design scheme. Trusting and acknowledging your feelings is the only way to successfully create atmosphere within your space. Although intangible, scent is a powerful tool which creates atmosphere, truly individual to you and your space.